Ken White is a First Amendment litigator and criminal defense attorney at Brown White & Osborn LLP in Los Angeles, California. He began his career as a federal prosecutor. 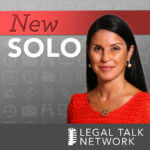 Since joining private practice in 2001, he’s maintained a white collar criminal defense practice and built a First Amendment practice defending defamation cases and advising clients about free speech issues. He writes Popehat.com, a blog devoted to law, politics, and culture, and has written on free speech and criminal justice issues for the Los Angeles Times, the Daily Journal, Salon, Reason Magazine, National Review Online, and other publications. 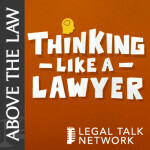 Ken White takes a look at the case Cohen v. California and whether or not the F word is protected by the First Amendment. Ken answers listener questions involving the line between hate speech and free speech, President Trump's Twitter account, and anti-SLAPP law. Popehat's Ken White explores Justice Oliver Wendell Holmes’s transformation into the First Amendment hero we know him as today. Ken White explores the origins of the phrase “You can’t yell ‘fire’ in a crowded theater” and whether or not it actually calls for exceptions to the First Amendment. In this episode of Make No Law, host Ken White examines Street v. New York, the Supreme Court case which concluded that the First Amendment allows freedom of expression towards the American flag. Simon Tam named his band “The Slants” as a form of self empowerment, but ran into problems when he tried to tried to register the name as a trademark, and ended up taking the case to the Supreme Court. Ken White explores the Garcetti v. Ceballos case, the results of which saddle government employees with a tough decision when reporting misconduct to their superiors. Ken White dives into the Tinker v. Des Moines case and how it has impacted freedom of speech for students on campuses today. 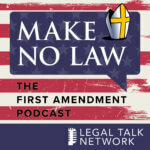 In this inaugural episode of Make No Law, the First Amendment Podcast by Popehat.com, host Ken White explores the Chaplinsky v. New Hampshire case and the ensuing “fighting words” doctrine, which is often cited in disputes over free speech in the United States.